Clean and Gone is an EPA Accredited Agent who also offer Asbestos Removal solutions to domestic clients. Using the stringent methodology we have developed for our commercial works, we have trained and WorkSafe approved teams to solve your Asbestos problems at home. Use Highly Trained and Qualified Staff – all Supervisors are WorkSafe approved. All asbestos waste is disposed of at EPA approved landfill sites. 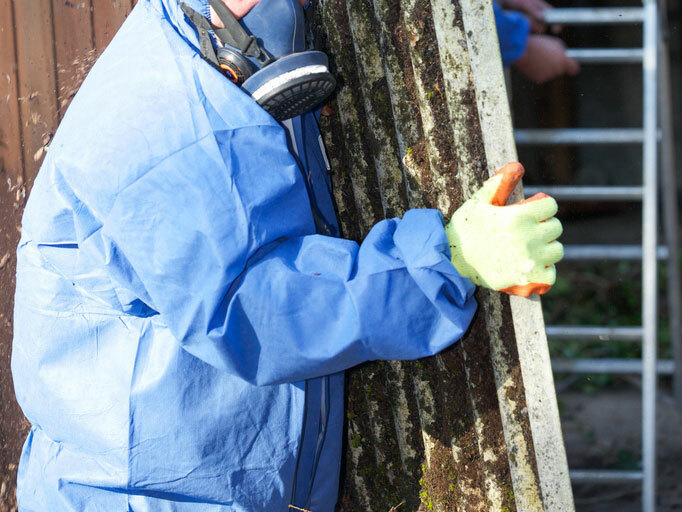 For projects requiring above 10m² of bonded Asbestos Removal, it is a Worksafe requirement that an Occupational Hygienist inspects and clears the site. For residential projects Clean and Gone will arrange for an Occupational Hygienist to inspect the site and issue a Clearance Certificate (for jobs >10m² of bonded asbestos), giving you peace of mind that all asbestos has been removed. Clean and Gone will arrange an Occupational Hygienist to supply air monitoring and a Clearance Certificate for all friable domestic removal jobs.